A group of KGS pupils travelled to Grangemouth, along with their fellow competitors from Stromness Academy, for the Scottish Schools Track & Field Championships on 13 June. They returned with a gold medal, a silver, a clutch of personal best performances, some valuable experience and a lot of great memories. Thora Cant, competing for the sixth year running and the last time, claimed her sixth gold in Javelin with a season best throw of 37.34m. 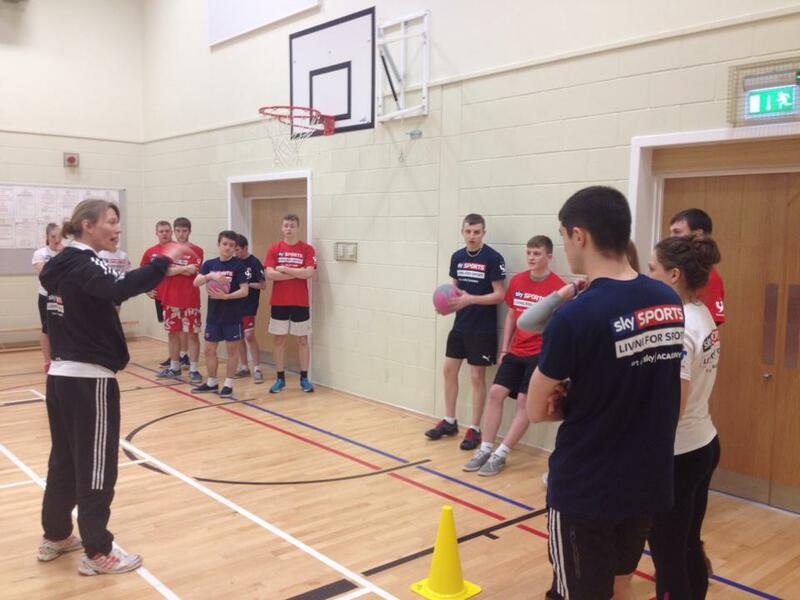 Charlie Passotti, in his first Scottish Schools competition, won silver in the High Jump with a new PB of 1.50m. Sarah MacPhail just missed out on a medal despite posting a PB in the 400m. 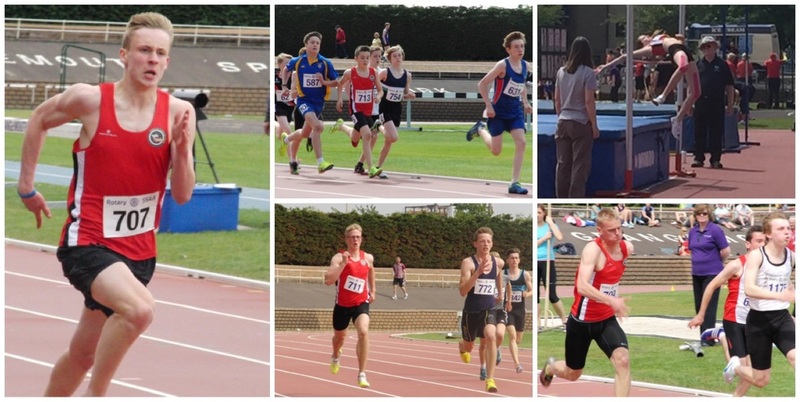 Fergus MacIvor and Sam Croy both achieved PBs in the 100m and Sam also managed one in the Shot Putt, as did Molly Cant. 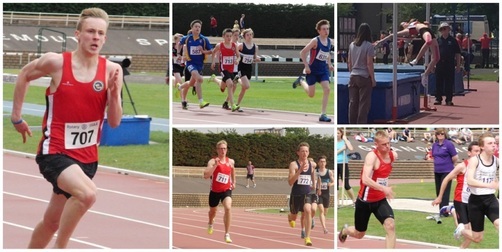 Jamie Clouston also achieved double PBs in the 800m and 1500m. Joe Gregg and Ryan Tait both produced PBs in Long Jump. 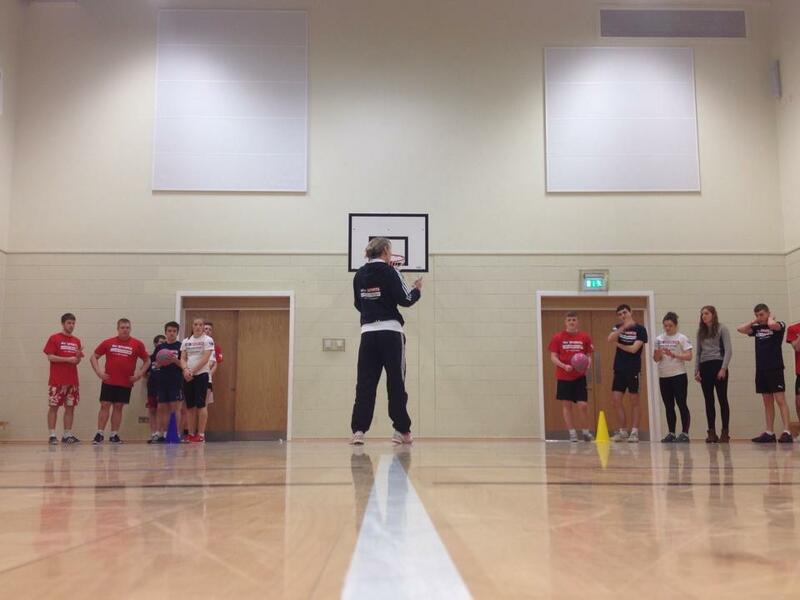 James Nicolson, Amy Davis, Andrew Davis and Mia MacIvor all turned in very creditable performances as well. 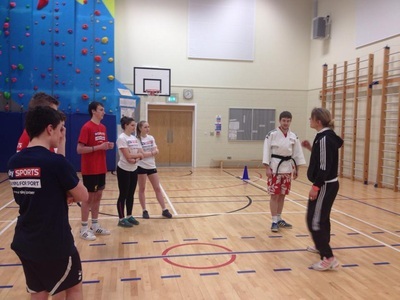 The athletes and their support team would like to thank all those who helped them achieve these tremendous results and enabled them to travel to Grangemouth, including of course KGS PE Department and the KGS Enrichment Fund. Mr Alasdair Harvey, who has been Acting Depute Head since September, was yesterday appointed to the post on a permanent basis. 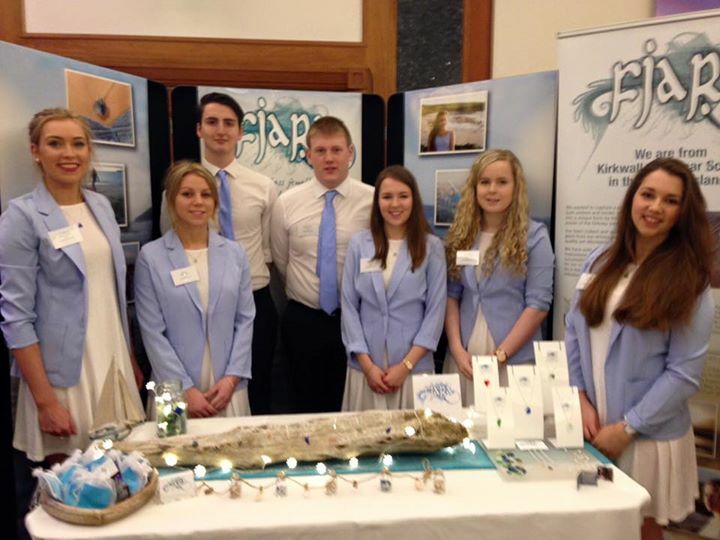 This year's KGS Young Enterprise Scotland entrants, Fjara, were named Scottish Company of the Year at last night's final at the Thistle Hotel in Glasgow. The company, who produced jewellery made from sea glass, were thrilled by the award. 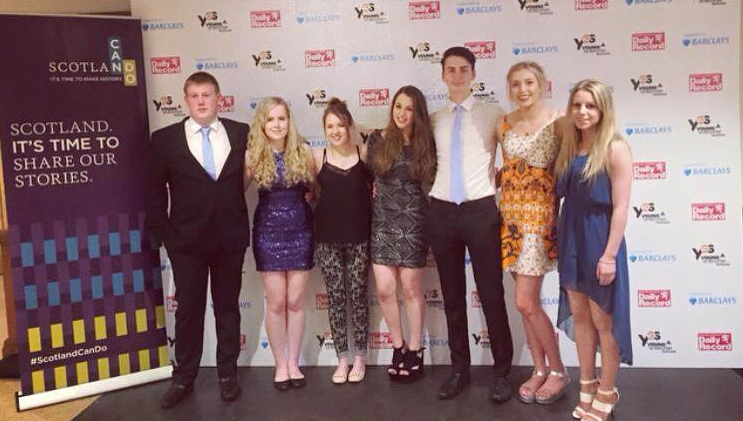 To add to their success, they also received the Marketing Star Award and the Investors in Young People Award. Betty Andrews was named IoD Director of the Year and Ms Kerry Warman and Miss Aileen McGregor were named Business Gateway Link Teachers of the Year. The company - Betty Andrews, Kyle Boyd, Ronan Osborne, Hannah Keith, Holly Rendall, Hayley Duncan, James Kemp, Sarah Macphail, Lillie Flett, Thora Cant, Shevaun Rosie, Andrew Fraser, Iona Muir, Ellen Rendall and Megan Ward - will now represent Scotland at the national final in London next month. Thank you to everyone who voted for Fjara in the People's Choice poll. They came a very creditable 6th equal. 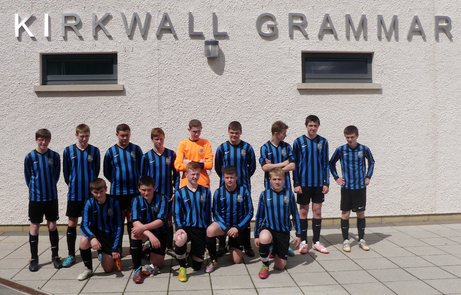 Kirkwall Grammar School's S3 boys faced off against Stromness Academy on the 29th of May with a 3-2 victory. KGS appeared in their new strips and they dominated the first half of the game, with Scott Taylor scoring a screamer, landing lovely in the back of the net. Stromness made a comeback scoring two goals. In an intense second half, Oskar Stout fired a nicely hit ball into the net. Now drawing, KGS managed to score one more goal through Connor Hancock from a corner. It was a thrilling and hard-fought match. 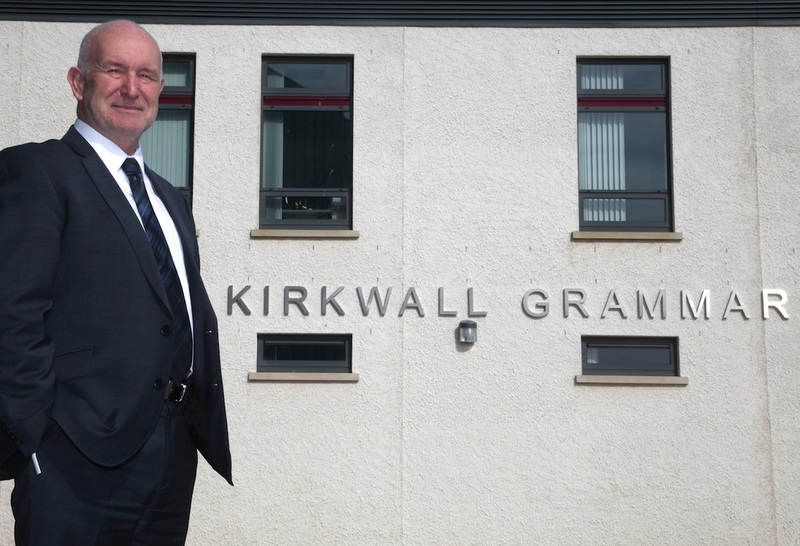 Following ten months as Acting Head, Mr Gordon McDonald has been appointed to the permanent post of Head Teacher. After all the changes in the school in the last couple of years, he is looking forward to a period of stability and to taking KGS further along the road of improvement. Olympian Judoka, Michelle Vidler, is visiting the PE department today as part of the Sky Sports: Living For Sport initiative which is currently running at the school. 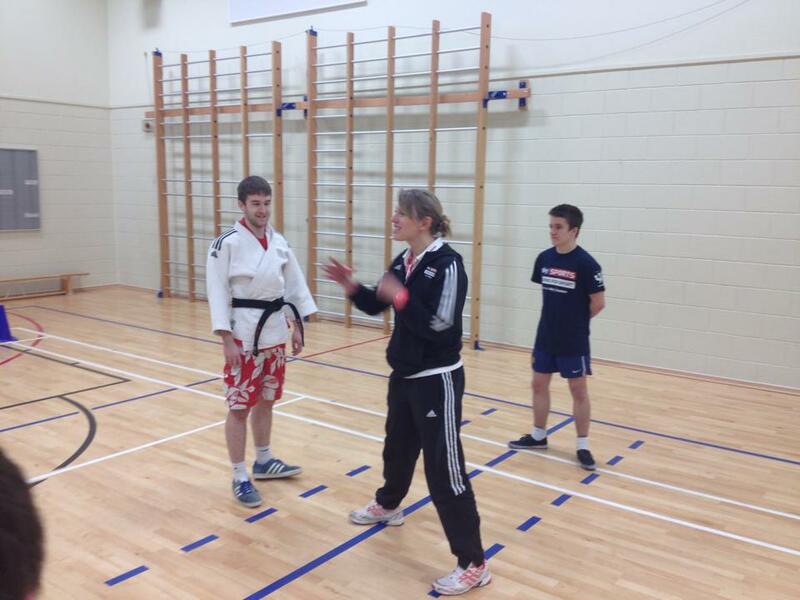 Michelle competed for Team GB in Beijing, won a Commonwealth gold at the Manchester Games in 2002 and has a formidable collection of European and World Medals. Michelle is working with a range of students in the PE department and in this morning's sessions with senior students the focus was on Mental Toughness and Communication. "We all have it inside us," she told the students, "it is just about being motivated enough to step up to the mark."